With slightly varying reporting requirements, varying makes and models and uses, mixed vocational truck fleets are looking for one comprehensive log-in and location for all data points and looking to ensure that all needs are met by their provider. In part two of the two-part series on Telematics in Mixed Truck Fleets, subject-matter experts discuss what challenges fleet managers are facing in the implementation and use of telematics solutions, and ways to help solve these challenges. By far the No. 1 challenge when implementing a telematics solution across a mixed truck fleet, one that includes several truck classes, is the size and breadth of the vehicles that require a solution. “The biggest challenge we see is that solutions often specialize highly in a single area or function that may not apply across all sections of the fleet. For example, a telematics app may specialize in safety, but may not have excellent GPS tracking levels or be able to accurately track against a routing plan. It’s difficult to find a solution that will meet many needs of the entire fleet from low-end track-and-trace only solution for sales reps and to robust track-and-trace, driver behavior, vehicle behavior, and actual vs. plan reconciliation for delivery and service vehicles,” said Cyndi Brandt, senior director of Product Marketing for Omnitracs. And, when fleets use multiple solutions it can mean duplicative data entry and maintenance, according to Brandt, with no way to view your entire fleet at once in the same interface or report on the activities of the entire fleet, which can be a challenge. “Varied truck fleets can find a set of providers claiming to do it all, but they need to have their priorities ready to compare against those solutions. There are certainly providers that lean toward light- or heavy-duty vehicles with the quality and depth of their feature sets in those unique areas such as engine connectivity, installation, etc.,” said Todd Ewing, director of Product Marketing of Fleetmatics. When looking for a telematics provider that specializes in all truck classes for a mixed truck fleet, be sure take time to first determine the information you need to track or report on. “Each fleet is unique, with different trucks, business challenges, and goals so unique solutions will need to be the focus. The telematics providers should offer a number of GPS device options compliant with the make/model of those vehicles. Focusing on one type of vehicle platform or a single-use case is a narrow view on the industry and really is only providing one piece of the puzzle that is fleet management,” said Ryan Driscoll, marketing director for GPS Insight. When doing research remember to consider all your needs. “Include both real/present and future/imagined and include any fixed assets you may want to monitor within your system. It’s important to make sure your partner has the right foundational pieces to meet your needs both now and in the future,” said Gabriel Nave, director of business development for CalAmp. According to Brandt, the second-largest challenge is installation and project management. 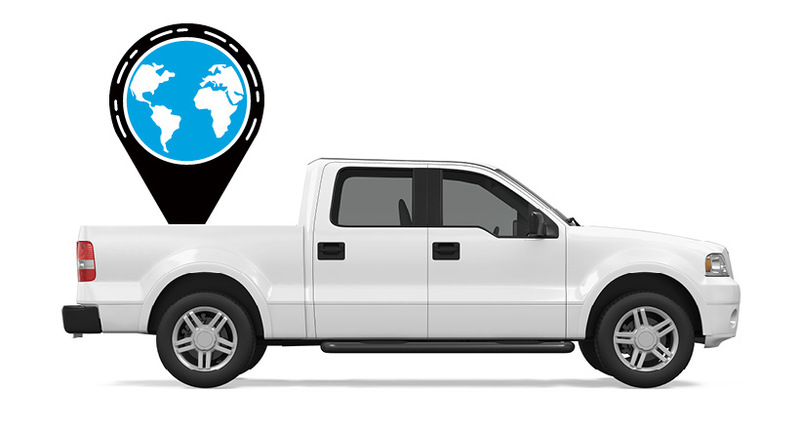 “Keeping track of where all vehicles are at any given time is difficult without GPS tracking. Finding them all and managing the installation process can be very difficult,” she said. In terms of installation, differences in vehicle class, as well as make and model can prove challenging. “Vehicle manufacturers change data port specifications, wire locations, etc., all the time. Because of this, we field test our devices on new model light- and heavy-duty vehicles while working with the OEM to ensure compatibility,” Driscoll added. A related challenge is how long it can take to install a telematics system onto a larger, mixed fleet. “We recently implemented a solution to a large fleet that wanted to understand whether their vehicles were being used cost effectively at a regional and store perspective. This customer’s onboarding process included professional hardware installation, vehicle hierarchy set-up, custom reporting, and data integrations to third-party systems. Our team was able to fully onboard this 2,000 vehicle fleet within 60 days. As a result, they were able to optimize the size of their fleet and implement vehicle usage policies that drive down operation costs,” said Bernie Kavanagh, SVP and general manager for North American Large Fleet for WEX Inc.
Fleet managers also face the challenge of defining the services they need for their particular fleet requirements. “We find most fleets have determined that the telematics industry has become commoditized. Most well-known, reputable telematics vendors have the same basic hardware and feature sets. We are finding more and more fleets that are looking for a higher level of services to help them drive the value from their telematics system and maximize its usage. This would include detailed project planning for implementation, change management assistance, proactive customer support, and account management services tailored to drive results for the customer,” said Pete Allen, executive vice president of MiX Telematics Americas. And, according to Kelly Frey, vice president of Product Marketing for Telogis, simplicity is being longed for. “At the end of the day fleet managers, chief mobile officers, and forward-leaning executives responsible for large operations want one login, with one comprehensive dashboard, to connect and optimize their entire mobile operation, including vehicles, drivers, and the work that they are performing,” Frey said. Data overload can be a big issue with telematics solutions, especially when monitoring multiple vehicle classes. Because of the differences in data being retrieved from each vehicle, data overload is going to be more of an issue in a mixed truck fleet. And, while you may not immediately have a need for specific data, it may come in handy in the future, and having enough of it to look back and see possible patterns can be a huge help. Learning to utilize a solution to its fullest may also be a challenge for some fleets. “We are seeing that many fleets — in our estimation, at least three out of every 10 — are not getting the full value out of their telematics system. They may be using only a subset of tactical features, rather than taking advantage of everything their telematics platform has to offer,” Allen said. But, as the saying goes, “don’t go making a mountain out of a molehill.” As telematics providers work to provide more options, the challenges are definitely lessening. “In my view, this issue is somewhat overblown. While there are some calibration and installation adjustments based on the type of a vehicle, if the telematics solution is a good one, it will be effective with all classes of vehicles,” said Del Lisk, vice president of Safety Services for Lytx. One item each of the telematics subject-matter experts agreed on: The No. 1 solution to just about any telematics-related challenge is research. Clearly understand your fleet needs, have a list of questions ready for potential providers, and research their options and features thoroughly. “For fleets looking at purchasing telematics for the first time or for fleets that currently have telematics and are looking at possibly switching, the most important recommendation would be to do your homework,” said Scott Sutarik, business development, OEM sales manager for Geotab. Simplify your approach, possibly searching out one provider that can meet all of your required needs. “Many large mixed fleets have a unique mix of light-, medium-, and heavy-duty trucks, plus they may have other assets such as generators and chippers that also need to be monitored. Fleet managers should look for a single, comprehensive solution that can do it all. Additionally, if you have vehicles with snow plows, towing winches, or bucket trucks, you will want a solution that can not only track the vehicle, but can tell you when the power take-off is engaged on these accessories,” said Roni Taylor, vice president of Industry Relations for Spireon. Remember, just like vehicle selection, selecting the right provider and solution requires understanding their offerings and your fleet needs. “Few, if any fleets, run a single OEM, therefore it’s important that the fleet understands the capabilities of the telematics providers they are vetting. Choosing a device that has compatibility with a variety of makes and models is a huge advantage to a fleet,” said Sutarik of Geotab. When determining how to vet a potential telematics solution provider, take a look at their history and success stories. “I’d encourage a fleet manager to look for solutions that have a long track record of being utilized by both light-, medium-, and heavy-duty truck fleets. Ask the telematics provider for current users you can contact to get real world feedback on what implementation was like. When challenges occurred, as they always do, did the vendor step up and solve them?” said Lisk of Lytx. For installation and repair-related challenges, working closely with a telematics provider to minimize cost and downtime. “Installations and repairs can be challenging for fleets. Many telematics providers require pre-wire kits from the truck manufacturer, remote antennas that need to be installed, and/or slicing into the electrical system for access to the CAN bus, ground, ignition, and power. These complicated installations cost money, take significant time, and could possibly damage the vehicle’s electrical system,” Sutarik said. Driscoll of GPS Insight agreed. “We recommend you let us help you, and I mean that. Sometimes, no matter how well you prepare or plan, you just need help. Let the pros train you and help you extract the most ROI from the telematics solution,” he said. The “plug-and-play” telematics solution is one way fleet managers are reducing installation concerns. “Some devices are plug-and-play, meaning the device can be installed in less than 30 minutes in most vehicles,” Sutarik added. Utilizing the OBD-II port in most newer-model vehicles, fleet managers have more “plug-and-play” options than ever. “Our customers appreciate having a simple, self-install device that can be used in any vehicle built after 1996. And, as vehicle fleets are updated, virtually all vehicles can be fitted. This takes the expense out of the process, whether at initial installation or when new vehicles are added. This cost is not just the cost of the install (around $75-125), but the cost of having vehicles out of service. Being able to use the same OBD-II device in JBUS and hardwire scenarios helps companies by keeping their sourcing limited to one device, so there’s no confusion in fleet operations,” said Keith Halasy, senior director of marketing for Azuga. Utilizing a telematics solution on a mixed fleet can also assist with regulatory compliance. “With the electronic logging device (ELD) mandates coming for larger vehicles, make sure you have confirmation from a knowledgeable party on which of your heavier vehicles require logging devices. Don’t be surprised to find out more light-duty vehicles than you expect may meet the requirements based on their hauling activity or operations radius,” said Ewing of Fleetmatics. At times, fleet managers may struggle to identify one particular challenge, finding the entire process a bit overwhelming. If this is the case, take a moment and focus. “Start with a focus on a single aspect of your fleet or service operations that you wish to improve, then spend the first several months getting good at that. It will require tuning the way you measure and report key pieces of data, sharing that data with your team, and determining how you will drive change through the organization to make it better. It sounds easier than it is,” Halasy added. Agreeing with the focused approach is Brandt of Omnitracs. “Understand the problem that you are trying to solve or business process you want to improve. 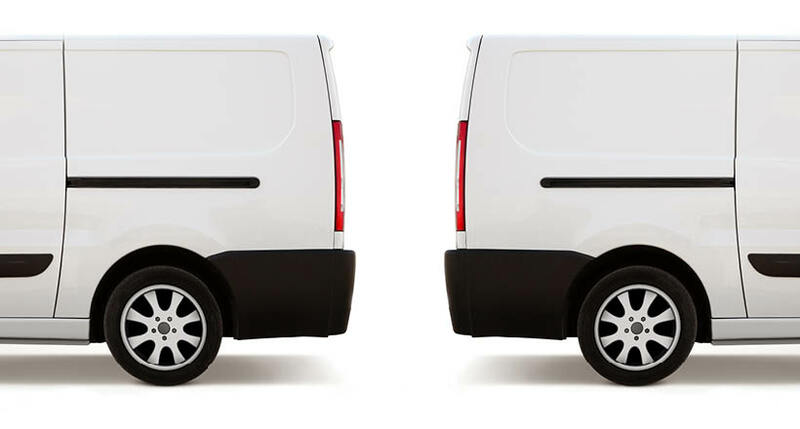 Identify these across all business functions with a fleet. Prioritize these items to figure out which to tackle first — telematics software “fails” because of clarity and priority. Customers try to take on too much at once. Establish baselines to understand how much you can and have improved in the future. Look for software that can meet the needs of the entire fleet, not just one area,” she said. In the end, telematics solution providers understand that a fleet manager is busy and work to take as much off their plate as possible. 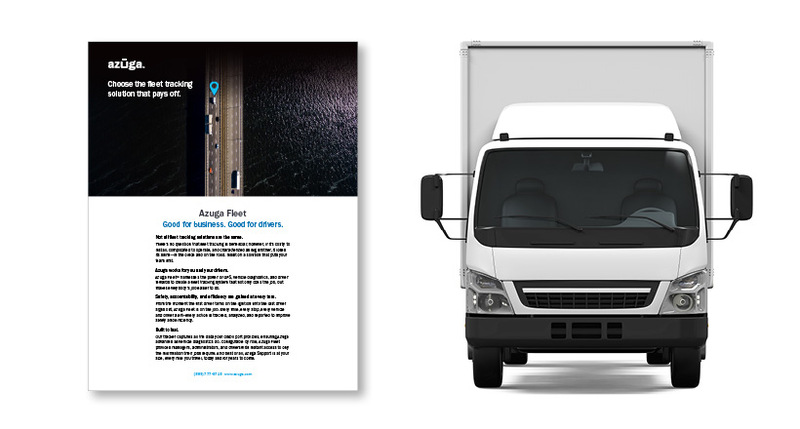 “The most important factor is that a fleet manager is already busy with their job. New technology and new software and reporting systems take time to learn, and it’s tough to find time when your day is already filled with your current job responsibilities. But, these reports and technologies can make your job easier and save time in the long-term. An investment today will pay off tomorrow,” said Ransom of Verizon Networkfleet. Change is involved, there is no question about it, but the end results can help save the company money and the fleet manager time. “This is an exercise in change management. Getting better data is the easy part. Rolling out new methods of measuring, managing, and reporting is where the really interesting work is for our customers. But the results, as you read about from the many case studies that are out there, are certainly worth it,” said Halasy of Azuga. Telogis recommends taking a holistic platform approach to connecting your fleet that encompasses all classes of vehicles, and even more broadly, the equipment they are pulling and the mobile worker or driver themselves. “The opportunity to connect everything mobile so that you can get actionable information flowing and then ultimately optimize and automate your entire mobile enterprise is very real and very valuable. This can drive considerable bottom line cost savings, safety, and compliance excellence and ultimately topline revenue and customer satisfaction gains that can keep you ahead of the competitive curve,” said Frey of Telogis. Fleet tracking solutions are much more than operational command and control tools, according to Halasy of Azuga. “If all companies are doing is using a fleet tracking system to catch workers breaking rules, they’re missing out. With such capabilities as vehicle health monitoring and preventive maintenance, integration with fuel card programs and fuel efficiency reporting, driver safety scoring with built-in reward systems, it is clear these systems are key to successful performance for any organization with mobile workers and vehicle fleets,” Halasy said. Cost reduction in fleet operations is a constant battle — one that requires constant vigilance and complete visibility, according to Taylor of Spireon, who noted the need for increased insight into fleet operations is driving more companies to invest in telematics systems. “Fleet managers and owners feel the pressure to cut costs wherever possible. Along with the cost of purchasing and maintaining vehicles, companies are seeing more of their profits consumed by volatile fuel prices, more expensive equipment, risky driver behaviors, and expanding liability. It’s no wonder more companies are looking to reduce the operating costs and increase the efficiencies of their fleets. Beyond simply tracking a vehicle’s movement and location, the best telematics systems provide a wealth of vehicle data and analytics that translate this raw data into actionable business intelligence. Armed with increased intelligence, fleet operators have the visibility they need to identify and capture opportunities for increasing efficiencies and reducing costs,” Taylor said.